as promised, i'm gonna post the complete and uncut solicits for each of the four second chances books over the next four days. also as promised, these are the edited and/or unused (rejected) versions that, obviously, either ran long or just were too out there and dave (land, our awesome editor at dark horse) was astute enough to reel me in. in any case, they should be funny or at least fun and i hope you enjoy them. unfortunately, today's--this first one--really isn't that funny. not at all actually. so you'll just have to take my word that the rest are a lot funnier and check them out tomorrow. and thursday. and friday. anyway, here's the solicit for #1. 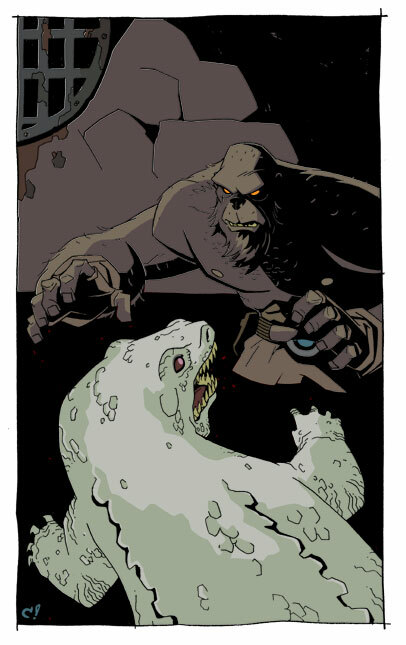 A Bigfoot, a chupacabra, a ghost, and a psychic, all agents for the enigmatic BEDLAM (Bureau of ExtraDimensional Liabilities and Management), tear it up as they continue the fight to keep us safe from the unseen horrors in our closets and the things that go bump in the night! Don’t miss out! 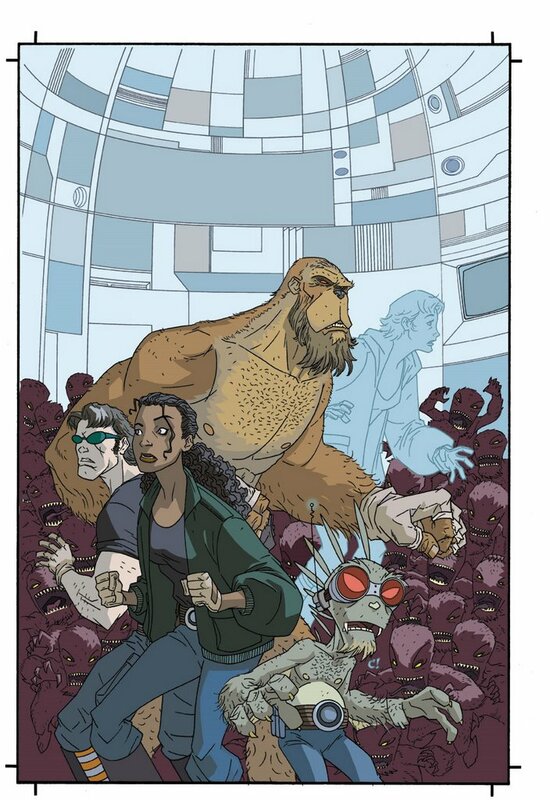 Join The Perhapanauts as they delve into the mysteries of the unknown and the unexplained and answer questions like why there’re more lines on your left palm than on your right! Also, stop looking at your hand. Not laugh out loud funny, no, but a quality gotcha as I was about to look at my palms to check out the line count before I read the final sentence.